Got the board hung and two wire hiddy holes drilled and grommets installed. Hello peeps I know it’s been a while since the last update but life and work will do that to ya. 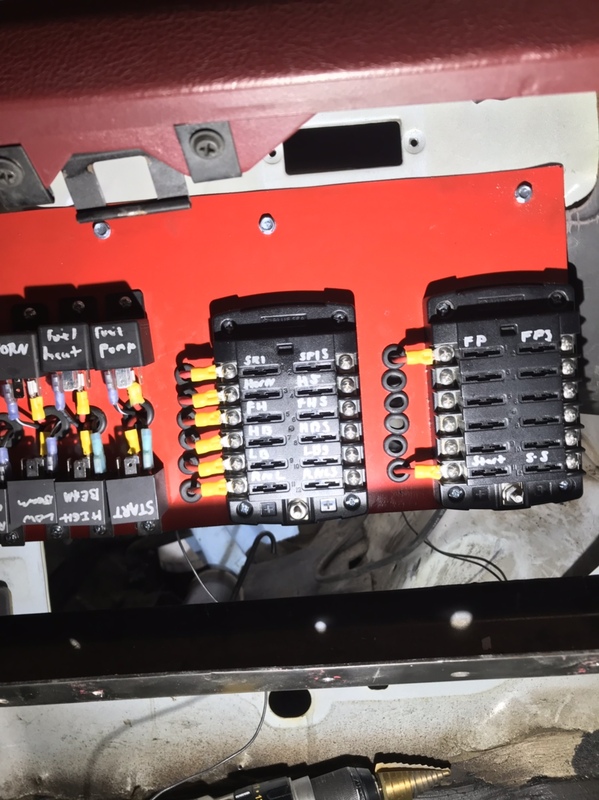 Working on the driver side wiring and now I have a decision to make and would like some input from you all. Tape is fast, plastic looks cool and reuses old pop bottles.